Online retailer Zappos.com announces its first-ever loyalty program, Zappos Rewards, a four-tier benefits program. 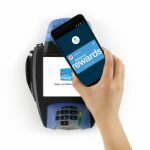 In Zappos.com’s latest effort to wow customers, the progression-based program will allow customers to earn Rewards Points towards future purchases, get free expedited shipping on all orders, and receive early access to exclusive products and sales. 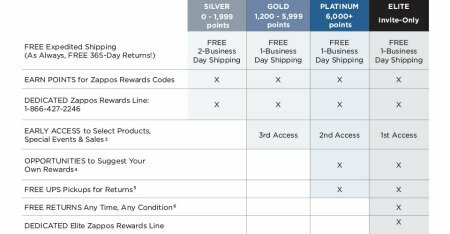 With the launch of Zappos Rewards, Zappos.com is the only retailer offering free 2-business day and free 1-business day shipping on all orders with no membership fees or minimum order values. The retailer is proud to offer their customers some of the quickest and most reliable shipping and handling. 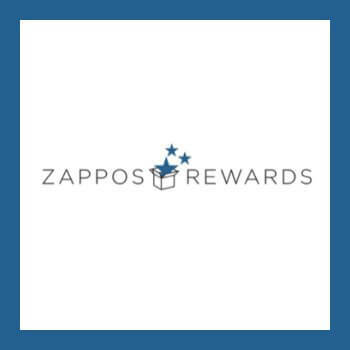 Zappos.com shoppers can now earn and redeem Rewards Points in various ways, and the benefits vary based upon tier placement. There are four tiers in the program: Silver, Gold, Platinum, and an invite-only Elite tier. 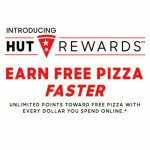 Customers may redeem every 1,000 points earned for $1 in Rewards Codes. 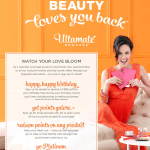 Customers earn for transactions and for engaging with the brand. There is a mix of hard and soft benefits. The overall idea of a tiered loyalty program is that the greater the customer’s brand loyalty, the more recognition and rewards they earn. 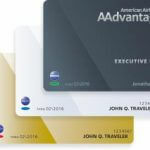 You may be familiar with tiered loyalty programs offered by Hotels and Airlines. You may not realize that tiered loyalty programs work for a variety of industries dependent on the goals of the program. Starbucks, Kohl’s, The Bon Ton and other retailers have successful tiered programs. The key to a successful tiered program is communication. Members need to know the program benefits, their current status and how close the are to earning more perks.